Jaq: Today, I decided to go for the classic in the sink selfie. I just love a clean sink! How about you? Update: Asha is doing fine after her spay surgery and is doing better than expected at the adoption center. Most exciting though is that Liam, Cosette, and Otto have all been adopted! 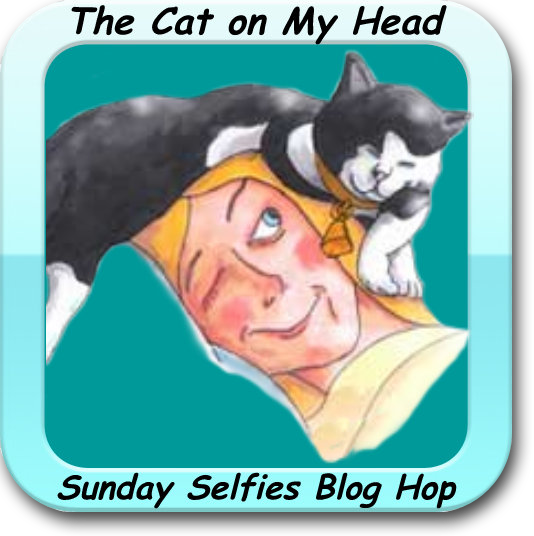 We are participating in a blog hop hosted by The Cat on My Head. Please check out the other entries. Great selfie and great news too! Lucy used to sit in the sink when she was younger. That's a very handsome selfie, Jaq. And yay for the kittens being adopted! We hope no one turns the water on you, Jaq! Pretty selfie. The sink is a good place to be when it is hot and humid. 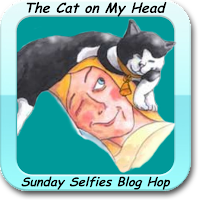 Great selfie and good news for all the kitties. 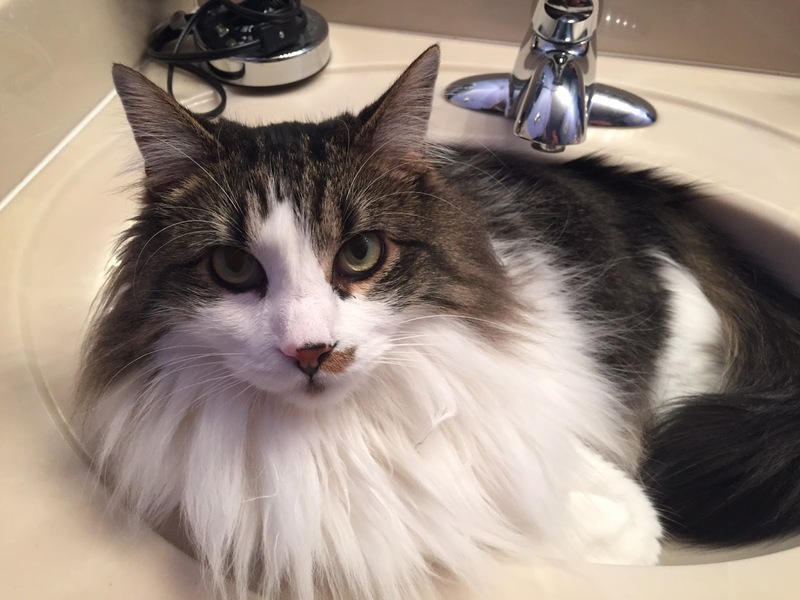 I'm not a sink kitty myself but I can see how it can be very cozy. So pretty with your half mustache!! !